The More In Common initiative took shape from work undertaken since 2015 to understand why advanced democracies failed to respond more effectively to the refugee crisis and its impact on domestic politics. Since then, our focus has widened to include broader questions of identity and belonging. More in Common's published studies of public attitudes in several European countries and the United States are already regarded as among the most insightful and actionable analyses of public opinion. Our researchers have also published papers on polarisation, social media and the psychology of political behaviour. This short report presents insights about political attitudes and polarization in the United States following the 2018 midterm elections. 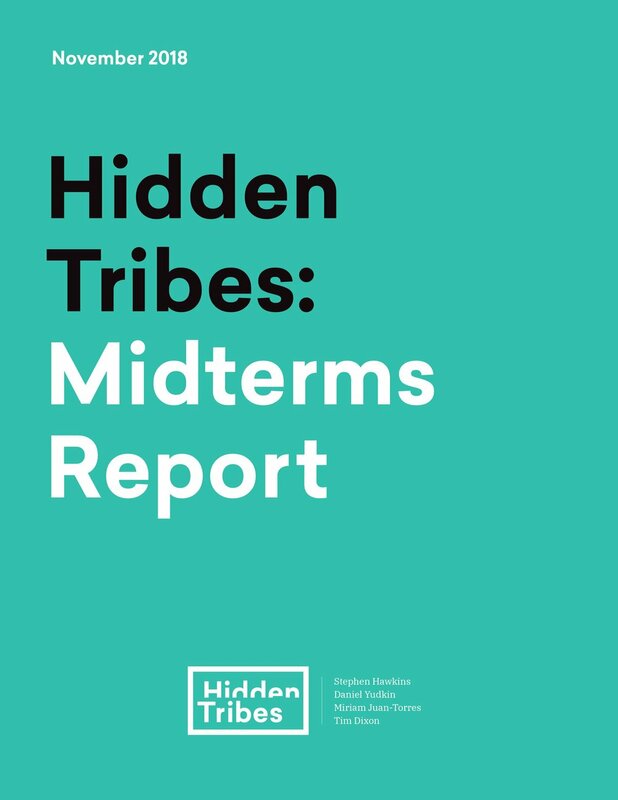 It serves as the next phase in the Hidden Tribes initiative and provides new insights into how each of the seven tribes felt about the midterm elections in November 2018. .A populist coalition now rules Italy, with the far-right Lega party increasingly dominant. But while many Italians are sceptical of globalisation and angry at elites, they also remain warm towards refugees, and believe that welcoming the stranger is part of being Italian. And there is a deep fault line between the values and beliefs of Lega supporters and those of the Five Star Movement. Read more. French Catholics make up 53% of the total French population. Their attitudes on refugees and immigration contrast in several important ways with that of the French population overall. Read more. The paper provides a bird’s-eye view of the most important contributions on authoritarian populism and othering. How can different areas of academic specialisation help us understand the appeal of authoritarian populism? Read more. Germans remain among the most supportive populations of immigration in Europe. Yet, many Germans hold mixed views about the integration of refugees into German society, especially concerning those from Muslim backgrounds. How will German society appeal to its historical sense of responsibility towards people seeking protection from conflict? Read more. Beyond refugee and immigration policies, there exists a wider French anxiety about the notion of ‘otherness,’ partially resulting from a widely shared perception that France has not integrated immigrants successfully. Can France convince people to accept further new arrivals? Read more.